Vandoren are the Crown Regent of reeds. 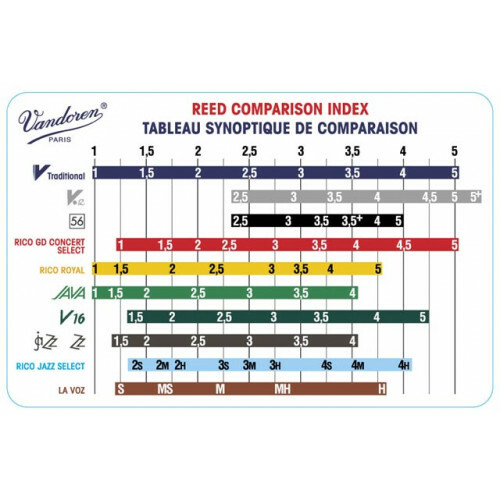 Stately and grand, they are the most widely played reeds in the professional world, with proven superiority of years of breeding ...er...production. 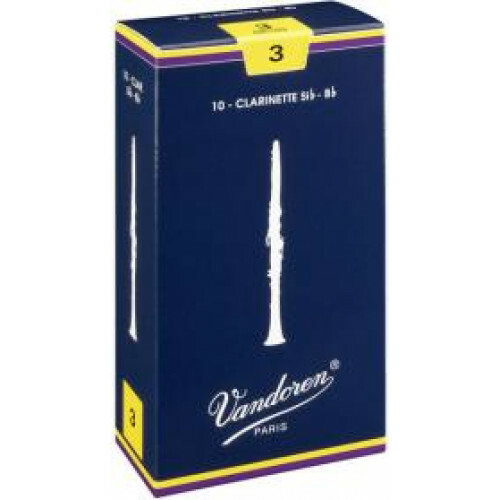 Each Vandoren Traditional clarinet reed is cut from field dried cane that is grown in France. The traditional Vandoren clarinet reed features a French file cut and even tip. They are quality reeds with an excellent response in all registers. It is said that they even allow a pianissimo attack of the highest notes. The reeds offer flexibility to execute legato or staccato over large intervals. They provide a rich tone, giving full bodied brilliance to the sound. Playing these reeds will leave you feeling quite stately. There are 10 reeds per box.